Whose Beliefs Are Mapping Out Your Twin Flame Path? Home Q&A Q&A: Whose Beliefs Are Mapping Out Your Twin Flame Path? Q&A: Whose Beliefs Are Mapping Out Your Twin Flame Path? You know all those stories you’ve read about Twin Flames? Even here on the blog in the comment fields and on Facebook? All the opinions and articles in the forums and on the websites? 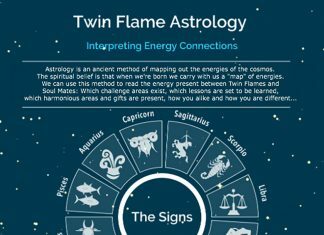 You know all the information on Twin Flame Running – including the real life examples – and the harrowing explanations of Twin Flame Separation? The Twin Runner marrying another, or getting someone pregnant, the Twin Chaser living unhappily despite trying their best, the separation that has gone on for 20 years now…? I actually know you know. Because 99.9% of Twins who know about the connection have spent their fair share of time online… So this is more to tap you into your soul than anything. As a Twin Flame, you’re not new to this stuff. I know. As human beings we are curious, information-seekers – it’s how our ancestors survived. It’s how our brains are wired. There is a part of you always taking in everything. No holds barred. Nothing excluded. There is a part of you that is like a sponge to everything around you. No matter what. You might think I’m going a bit disturbed myself, but this is scientific fact: Your unconscious mind has no filters. It takes in everything. Every single thing around you. It’s why children believe it if you tell them you can talk to dogs, or that they could walk to the moon. It’s because their unconscious mind has not yet developed the Ego Filter mechanism, which is the part of us that scrutinizes and evaluates. The fact is that the unconscious mind can’t tell the difference between what’s true and false. So … you’re there reading about Twin Flames, thinking all the while maybe that your own journey is different. “This would never happen to me”. But there is a deeper part of you – the inner child, some would call it, the innocent part of you that has no preconceptions, that has no doubt and no disbelief – is taking it all in, lock, stock and barrel. For an example of how the unconscious mind works, just look to how you “just pick up” someone else’s mannerisms or expressions when you spend a lot of time around them. Or how you remember that advertising jingle from the product you had no real interest in, or how you just happen to buy the brand of juice that was in a commercial on tv the same morning. It’s all the unconscious at work. Advertising knows it and uses it very deliberately, and so do politicians. They know the very valuable truth that human beings don’t act how they reasonably think they will act – there are much deeper processes involved in why we do what we do, and why we create our world the way we do. On the Twin Flame journey, I have not seen a single person speak about this so far. But the truth is, your unconscious mind houses a lot more damaging content about the Twin journey than you might know. And if left to its own devices your energy will align with your deeper beliefs, creating to this pattern. What Are Your Blueprints To Reality? Beliefs are blueprints of reality. On the physical level they impact our feelings, our choices and actions and thereby align us with particular things. On the metaphysical level they control our very reality because they block certain things. If you believe running is inevitable for Twin Flames, you and your whole system are working behind the scenes to make it happen. You’ll notice this in other people – some are filled with a belief that they’ll succeed, that they’ll be loved… And it usually works that way. They seem to be “lucky”. Other people have the belief that life is hard, that there’s no point trying… And they end up with experiences that mirror that. I grew up with a father who came from a family with that belief and it’s what he’s done himself. He usually sits and reads the newspaper with his cat, pointing out to anyone who’ll listen how bad the state of the world is. And he never does anything to change it. He’s not a bad person but he’s locked himself into an experience even he doesn’t seem to enjoy. No one “made” him do it. But because of his beliefs, he doesn’t think he can change it. This might sound unrelated to Twin Flames, but the truth is there are many Twins out there operating on similar patterns. Just look at any Twin Flame forum or comment board. This is why spirit has been so eager for this site to be moderated. Because “venting is viral” – it’s contagious. Beliefs and energy are what create reality. So in order to make sure you and your unconscious mind really are on the same page, manifesting and attracting joy, harmony and love instead of woe along the lines of what you’ve been reading from other Twins – we have to map out your true beliefs about the Twin connection and eradicate the negative ones. Step 1) Without editing yourself, write out everything you believe about the Twin Flame connection, both your own and others’. Write until you can’t think of anything else, and write on paper. Don’t edit or stop yourself, and don’t think too hard about it: allow your unconscious mind to express itself freely. Step 2) Read through. I’m certain you’ll be surprised some of the beliefs that have snuck their way in. Step 3) Write a new statement to replace every negative statement. Step 4) Tear up or burn the negatives in a safe place (now you know why I suggested to do it on paper!) and erase the energy around them by using metaphysical energy clearing. This process might seem simple, but the unconscious mind is highly impressionable and you’re its “parent”. Your direction is so powerful to it! This is an exercise that above all will show you how much strange content you’re walking around with behind the scenes. And how it’s the mostly unnoticed parts of you can become the biggest blocks on your Twin Flame Journey. There are many other core beliefs around love, life, the universe and “your luck in life” you would benefit from clearing as well to open up your Twin Flame connection properly from a place of harmony or love. We go through clearing all of this in the sessions for Twin Flames. Because the unconscious mind is a huge storehouse of experiences, fears, perceptions and beliefs, it can be extremely time consuming to go through and filter out the negative beliefs that create havoc on our journey. The great thing is that as we clear negative energy we clear the beliefs based in that energy. So the best and most effective way I’ve found to weed out the destructive beliefs that create self fulfilling prophecies of suffering – is to clear energy! 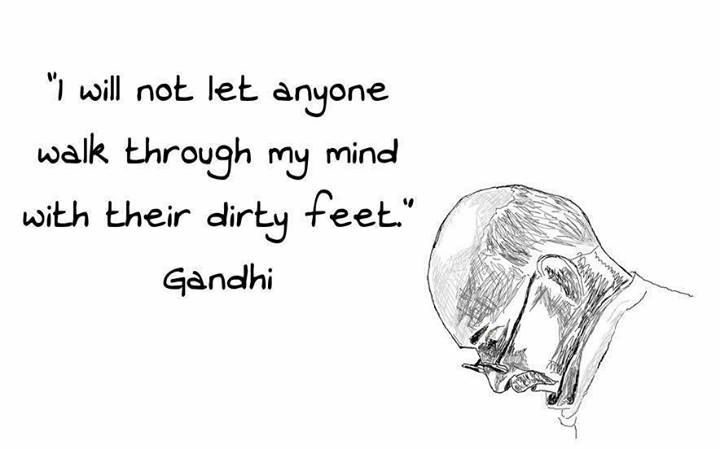 When we clear out negativity (shame, guilt, fear, blame, anger and so on) the beliefs go out with it. There’s no “connection” anymore. So although a lot of spiritual practice advises to go within and do a lot of soul searching – and this can be helpful at some points – we are on earth for a short time in all honesty. And to spend all that time holed up and trying to figure out our psyche could be very time consuming! We might not have much time left to live that way! And, spirit wants to say something important: There are Twins who have experienced real trauma and abuse… Things that are not good for you to re-experience (for one thing, because it would re-enforce and ingrain the pain in your field, working against your desire to heal the wound). In those cases, clearing the energy is an amazing way to eradicate the lingering feeling memory and cellular imprint of those experiences, without you having to feel like you’re going through it all over again! You’re not supposed to have to “cry it all out” – that will just exhaust you! Twin Flames are here to thrive, not to struggle. Ascension is meant to transform our energy into pure light so we can function from that place, not to spend a lifetime figuring things out. So when we clear our energy, we take out so much negativity in one fell swoop. You can read here about the experiences other people have had with my work. We don’t always have to understand the exact “why” of things – we can clear those niggling feelings we find it hard to put words to, and all the yucky stuff that just doesn’t seem to go away (that’s the unconscious stuff). 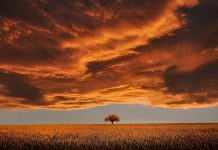 For a brand new energy transformation which spirit and I created recently to deal with the issues that have been coming up for Twin Flames in recent times – have a look here. In this session we actually use a specially formulated meditation to bypass your ego and allow your unconscious mind to express the root issues that have been causing difficulty for you. And we deliberately plant in new positive beliefs and manifestations for your onward journey! It’s tempting to think the Twin journey is all about shifting our perspective and finding love from some mystical experience or perspective opener, but the truth is when we are carrying baggage from ancestors, the collective and our own past experiences there is so much working against us. To read more about how the collective energies impact Twin Flames, have a look here. When we clear our “baggage” and manage our energy, the shifts are instant. We don’t have to “work so hard” to try to love, to try to be positive. It’s simply becomes who we are. This is one of many reasons why I always recommend energy healing for Twins, Empaths and Lightworkers. We go through these things in the Vibrational Alignment Program for Twin Flames – my personal roadmap to Twin Flame Union, created as a result of my Twin and I reaching union just 18 months after our first encounter. I know both how beautiful this journey can be, and how hard it can be – what I’ve learned from coaching and communicating from thousands of Twins as well as my own research and experience on my journey, is that it’s all about energy. When you lift and clear your energy, your situation begins to shift profoundly. As always I’m sending you love and light for your continued journey!